It is an honour and special pleasure to be given the role of launching (a little belatedly) Jakob Ziguras’s new and second book of poems The Sepia Carousel. Jakob and I will shortly converse about the book, and Jakob will then read a number of poems. However, to begin with I will say a few words as a way of introducing The Sepia Carousel. Jakob currently lives in Wrocław, Poland, and over the past twelve years he has spent much time in Europe, especially in Poland. This time in Europe has involved a deepening of Jakob’s connection to Poland. In recent years he has been translating a number of Polish poets and been extensively reading modern and contemporary Polish poetry. Jakob was born in Wrocław and lived in Europe until the age of seven, when with his mother he immigrated to Australia as a refugee from communist Poland. After studying visual art for a time, he moved on to study philosophy and completed a PhD at the University of Sydney. Through both his family background and his education Jakob is deeply connected to and versed in European philosophy, literature, art, and theology. If Jakob is correctly identified as a European-Australian poet, the emphasis should nevertheless be placed on ‘European’ rather than ‘Australian’. Jakob writes from within European traditions of poetry and philosophy rather than as a tourist or foreigner in Europe. Among Australian poets, Jakob’s poetry is comparable to the work of Stephen Edgar in its formal virtuosity and versatility and to Kevin Hart in its philosophical and theological concerns. However, even though Hart’s poems make significant allusions to mysticism, theology and philosophy, Jakob’s poetry generally embodies a greater concern with intellectual complexity (rather than lyrical immediacy), such that a number of poems will remain opaque to a reader with little knowledge of the history of philosophy. The German word for poetry ‘Dichtung’ contains the word ‘dicht’, which means ‘dense’. Ezra Pound on discovering that the German verb for composing poetry ‘dichten’ can be translated into the Italian ‘condensare’ (to condense) remarked that an essential aspect of poetry was the condensation of meaning. Pound viewed poetry as ‘the most concentrated form of verbal expression’. Jakob clearly shares this view with Pound as his poems concentrate meaning to the utmost. Like Jakob’s first book Chains of Snow, The Sepia Carousel engages deeply with European history, philosophy, poetry and art and contains a mix of free verse and formal poems, with a predominance of the latter. Nevertheless, there are some notable developments. Firstly, there are more long sequences in The Sepia Carousel––the opening cycle ‘Roman Sonnets’ that consists of eleven sonnets being only one of many examples. Secondly, while Chains of Snow could be said to be an embodiment of poetry as condensation, The Sepia Carousel pushes this tendency further. Through multiple layers of allusion, symbolic compression, formal constraint, word-play and irony, the poems achieve immense concentration. Jakob’s poetry tends to be difficult. It is far from the mundane realism and demotic diction of the American poetry that sparsely populates magazines such as The New Yorker. But Jakob’s poetry does not renounce or disrupt meaning and coherence in a post-modern fashion. Jakob is more of a high modernist than a post-modernist. His poetry is intellectually complex and allusive. It rewards contemplation and re-reading. It recognizes the complexities of existence and history, and the complicity of the individual in systems of violence and evil. His poetry does not seek refuge in simplistic answers, aestheticism, or sentimentalism. The sensibility of Jakob’s poetry is notably European and historical. Like many Central and Eastern European poets, Jakob’s poems are deeply aware of the problem, most famously articulated by the philosopher Adorno, of how it is possible to write poetry after Auschwitz, after the atrocities of the twentieth century that have continued into the twenty-first. Rilke was one of a long line of European poets who strongly identified poetry with the task of articulating the praise-worthy, of affirming life in spite of the transience and imperfection of the world. But after the brutality and systematic violence of more recent history, the task of genuine praising––free of sentimentality and escapism––has become more difficult and problematic. 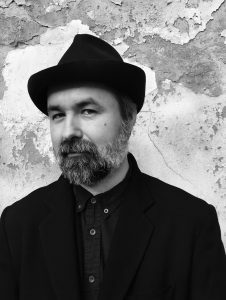 Nevertheless, as the contemporary Polish poet, and friend of Jakob’s, Adam Zagajewski has memorably put it, we must ‘try to praise the mutilated world’. Jakob’s poems look for fragments of hope and possibilities of transformation amidst the ruins of history, try to affirm at least something beyond the nihilistic emptiness of contemporary capitalism and consumer culture. A characteristic moment of such affirmation is found in lines from the second poem of the sequence ‘Isola di San Michele’: ‘Song comes and goes among the bitter laurels. / I pluck a leaf, and crush it to release / the cool clean scent; then walk away, / the ash and bracing resin on my hands.’ The laurel leaves, the emblem of poetry, are noticeably ‘bitter’ and their trace on the poet’s hand contains ‘ash and bracing resin’. Poetic affirmation is intermingled with ash and decay, life cannot be separated from death. In the moving autobiographical poem, ‘Windows in the Dust’ Jakob recalls a childhood game in a courtyard in Wrocław in which he and other children made patterns in the dirt out of bits of rubbish and broken glass. This is a beautiful embodiment of the aesthetics and poetics of Jakob’s new book. Among visual artists Jakob’s poetics might be likened to the aesthetic of Anselm Kiefer, in the way it looks for beauty and affirmation in unlikely places of ruin and dissolution. Nevertheless, there are also quite bleak poems in this collection, in which despair seems almost inevitable. Jakob’s poetry is not only notable for its intellectual complexity and range but also for the symbolic compression of his images, which extend imagist and symbolist practices. Pound famously defined the poetic image as ‘that which presents an intellectual and emotional complex in an instant of time.’ Jakob’s lines frequently exemplify and instantiate images in precisely this sense. To offer one example, consider these two lines from one of the unrhyming sonnets in the sequence ‘Jet Lag Song Nets’: ‘A cold wind lashes at the merchandise. / You wear your scarf pulled tight into a noose.’ In just a few words, these lines capture the speaker’s feeling of the futility of life, which borders on a suicidal desire, in relation to the spiritual emptiness of the market place. Jakob’s poems also deftly draw on and subvert traditional symbolisms in order to articulate a philosophy of history and a critique of our current moment. When snow appears in the collection, rather than its traditional association with purity and innocence, it tends to imply the cold rationality and amorality of the modern technological world. As a polar and equally destructive tendency, the season of spring, in the title sequence of the third and last section of the book ‘The Rite of Spring’, rather than symbolising positive forces of renewal, transformation, and resurrection, signifies violent irrationality, unbridled passion, and despotism. While there is a remarkable density and wide use of allusion in Jakob’s first collection, there is a noticeable increase of allusive and narrative compression in the new book. Rather than elaborating a narrative or allusion within the body of a poem, these are tersely intimated as an assumed background of meaning. For instance, the poem ‘Introspection’ (in the sequence ‘Snow like Wool, Frost like Ashes’ dedicated to the late Polish poet Stanisłav Barańczak) we find the following lines: ‘The introspective paradox / is that introspection / is not––unlike Johnsonian rocks––/ subject to inspection.’ These lines assume that the reader has some familiarity with the philosophical problem of infinite regress with regard to self-consciousness, namely that the true subject or self can never be its own object as the observed self never coincides with the observing self. In addition, the expression ‘Johnsonian rocks’ tersely encapsulates the philosophical anecdote of Samuel Johnson kicking a stone as a supposed refutation of Bishop Berkeley’s idealist philosophy according to which the world only exists through being perceived. In the new collection there is also an increase in word play and punning across various languages. One of my favourite lines of this kind (from the sequence ‘The Rite of Spring’), ‘If children ask for bread, then give them Stein,’ alludes both to Marie Antoinette and to the biblical account of the devil tempting Christ to turn stones into bread, and puns on ‘Stein’ as a reference to Gertrude Stein and the German word for ‘stone’. The book is divided into three sections. The first section titled ‘The Appian Way’ is primarily situated in Italy, especially Rome, and engages with and critiques Western history. The second section ‘First Snow’ is primarily situated in Poland. The third section ‘The Rite of Spring’ ranges widely across European history and literature and includes poems set in Australia. The collection contains a number of brilliant free verse poems but long sequences of formal poems predominate, including terza rima, sonnets, pentameter quatrains, and a variety of other forms. The masterful handling of forms is not only aesthetically significant but also part of the semantic complexity of the poetry. For instance, the sequence ‘Snow like Wool, Frost like Ashes’ is written in ballad meter but these are highly philosophical poems with nothing that resembles traditional balladic narrative; thus there is something like an ironic tension between the meter and rhymes of the ballad form and the ostensible content of the poems. In our current age of hype, platitudes, doublespeak, and attention spans limited to the length of a tweet, Jakob’s poems ask us to read more carefully, think more deeply, and to widen our understanding and appreciation of history, philosophy, theology and art. This entry was posted in Jakob Ziguras, Luke Fischer, Pitt Street Poetry, The Sepia Carousel and tagged poetry by Mark Roberts. Bookmark the permalink.